Fourth plays third in Group E on Friday night and this is yet another massive game in the progress of the group. At this point, both of these teams are in the playoff spots but with one team to lose and one of the two teams snapping at their heels set to win, the makeup of the group could be very different by the time Saturday rolls around. The hosts endured a tough loss last week but they know that a home win gives them a chance to bounce back in a strong manner. Okay, there are certainly easier opponents to come up against when you are desperate for a win but the Kombank Arena is likely to be a loud and noisy place this week and that could be enough to push the hosts on. A home win would see Crvena move into third place after the side from Belgrade won in Greece last time around. The Athens team are a different proposition from what they were back then but the hosts will be confident that they can at least push Panathinaikos all the way in this game. The Greeks come into this game having won five games in a row and their 6-3 record is testimony to how they have bounced back after such a difficult start. 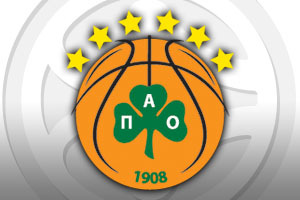 They’ll be looking to consolidate their place in the playoff spots and with players like Nick Calathes, there is always a great chance that the team from Athens can take control of this game. Miroslav Raduljica and Ognjen Kuzmic have been in fine form and if they maintain their level of play, they should find that an away win is not out of the question on Friday night. The bookies think it will be close and they are tipping the hosts to edge a narrow game. 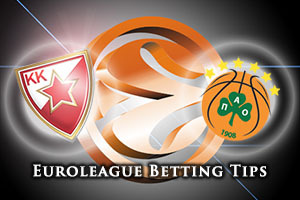 With this in mind, look to take Panathinaikos Athens at +1, and you can find this available at odds of 1.90. If you are looking to get involved with the Over/Under market, you should look to go OVER 147.5, which you can find at odds of 1.90. Bet Now!